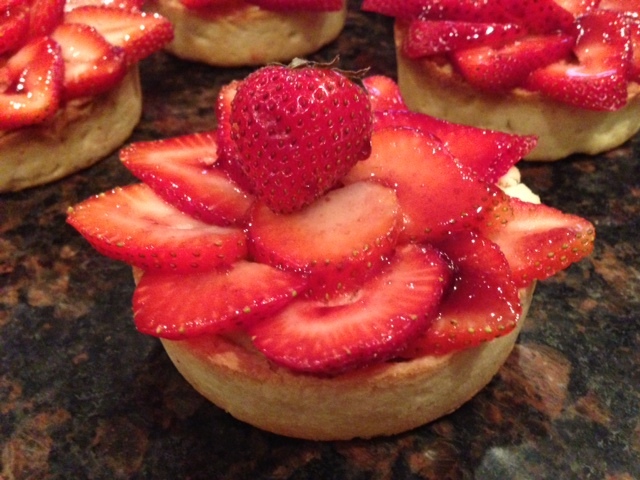 I had lots of fruits in my fridge and was craving a yummy dessert so i strolled through the recipes that Stephane Glacier had share with us last year at the Demarle Convention and I decided to recreate his Strawberry tart. I changed a few things however. 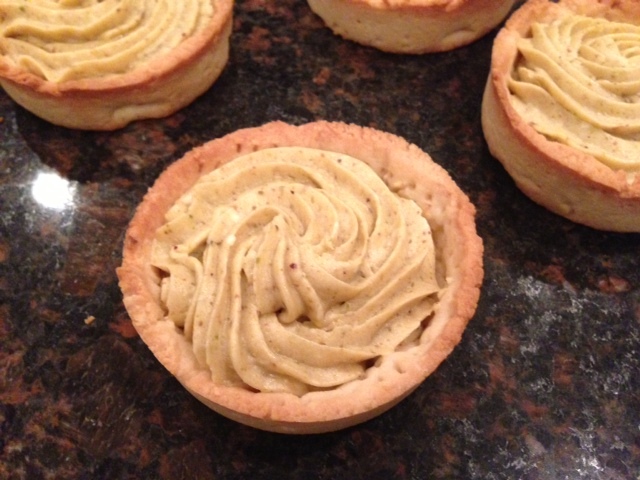 Instead of using a Pate Sable Breton which is a bit salted, i chose to use his recipe for Almond Pate Sablee. 1/4 cup of Rasbperry Jam or Jelly for Glacage. 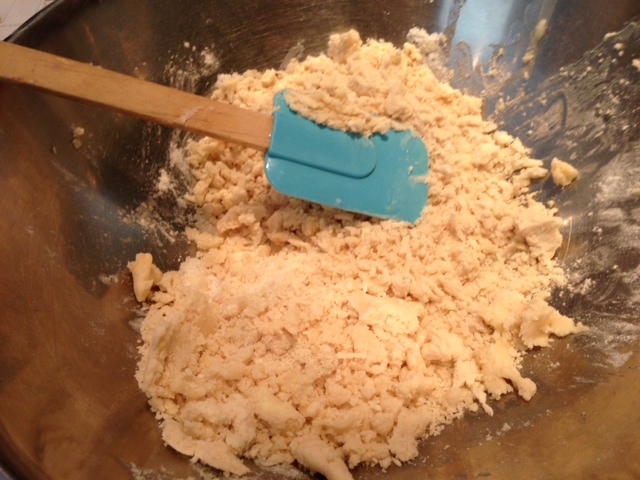 In a large bowl, mix the butter and the flour until the mixture looks like sand. 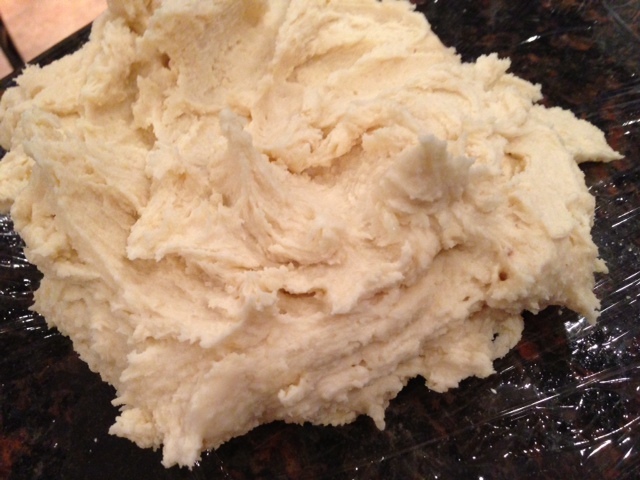 Add the rest of the ingredients and knead with your hands, or use a mixer. 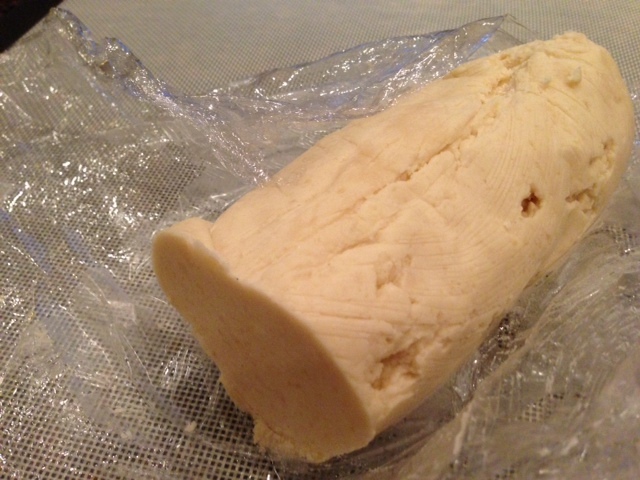 Place the dough onto a plastic wrap and shape into a log of about 3 inches. Place the log into the fridge and let it rest for at least an hour. 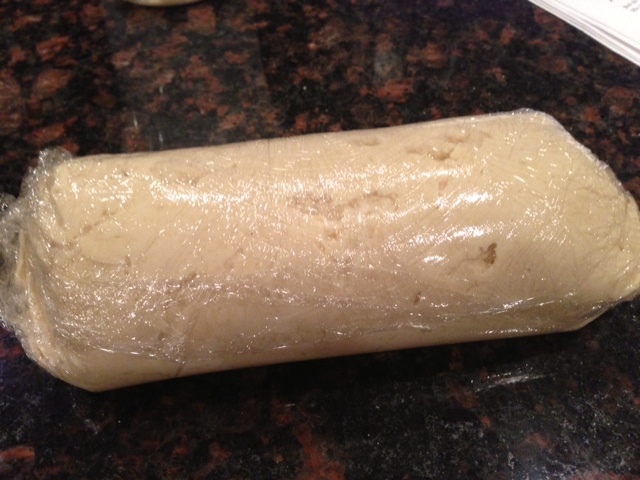 When the dough has rested, take it out of the fridge. Cut 1 inch disc, and place it onto a roulpat. Fold the roulpat over the disc, and with a rolling pin, roll the dough into a disc of about 5 inches wide, and 3 mm. thick. 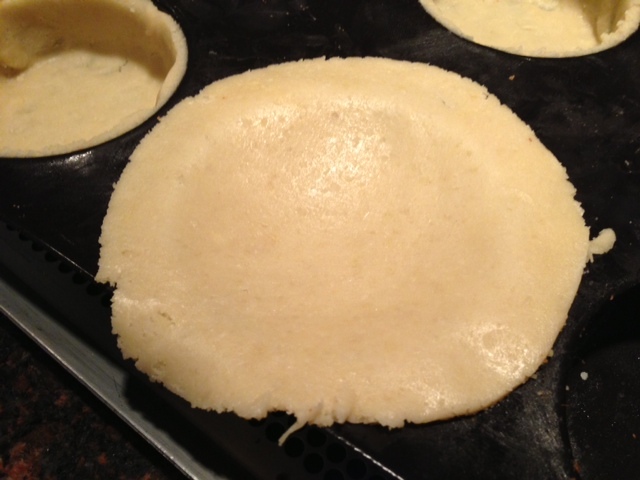 The dough will be too soft to pick up, so lay the roulpat with the dough upside down as shown onto the tartlet tray, and slowly pull the roulpat off the dough. 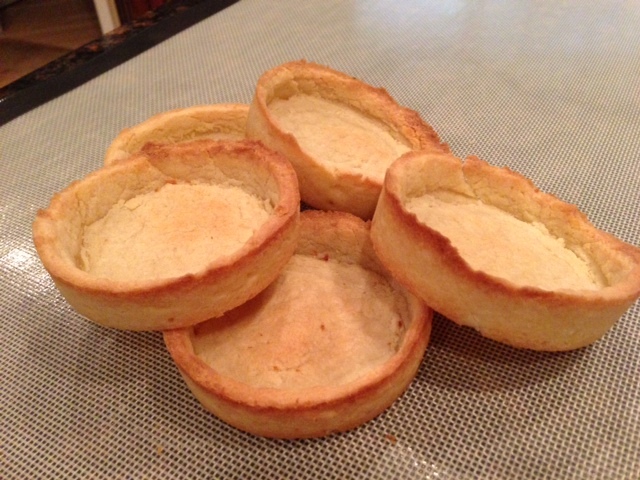 Push the dough inside the tartlet mold and with your fingers, push the dough so that it will fit perfectly inside. Repeat steps 5 thru 7 until you have exhausted all the pie crust. Place the tray back into the fridge to cool again for 1-2 hours. 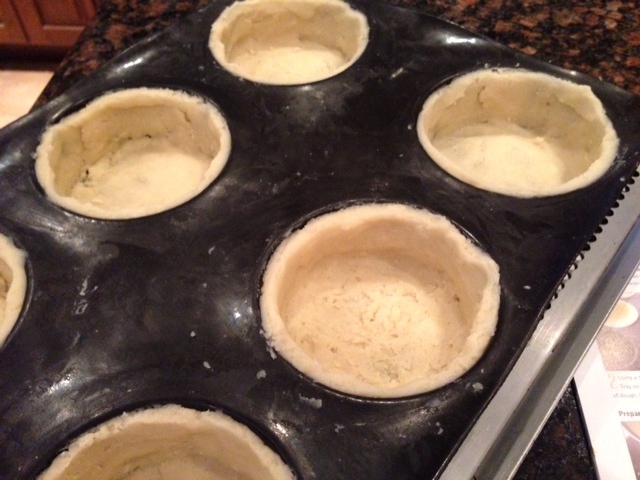 After the crust has rested, turn the oven to 320 and cook the pastries for 15-20 minutes. 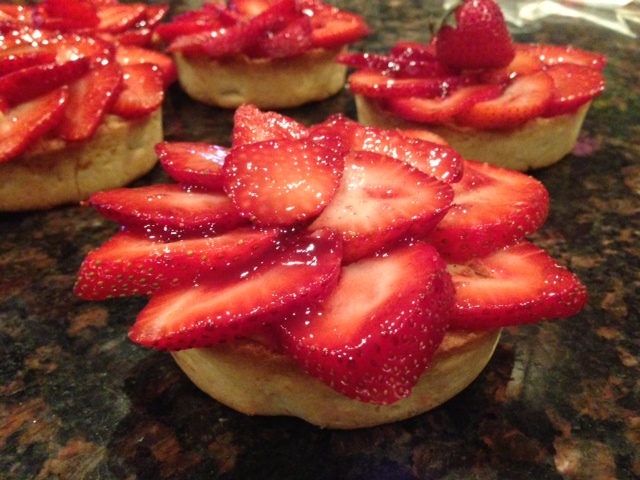 When the pastries are cooked, remove them from the oven and let them cool completely. Pour the milk into a small saucepan and bring it to boil. Meanwhile in a bowl, beat the egg yolks and the sugar until the mixture become thicker and whitens. Add the corn flour and mix it in. Pour the hot milk onto the egg mixture and stir. Pour this mixture back into the saucepan and cook over medium heat while constantly stirring until the mixture thickens. Remove the cream from the stove, pour it into a container. Cover the cream with some plastic wrap and place the cream in the fridge to cool. Meanwhile prepare the pistachio paste if you can’t find any. 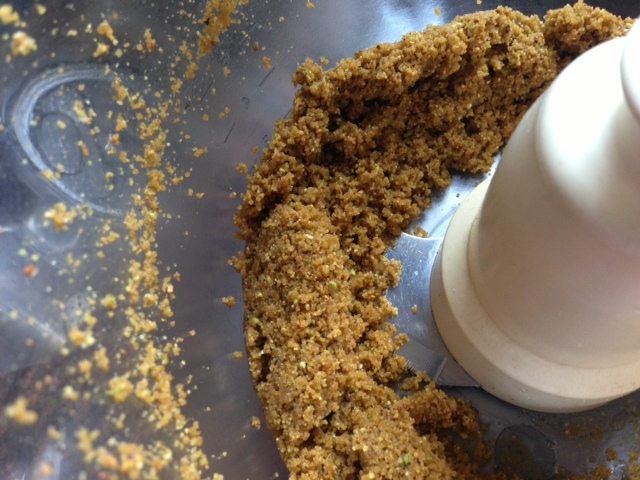 Place all the ingredients given for the pistachio paste into a chopper and chop it all until the mixture becomes a paste. 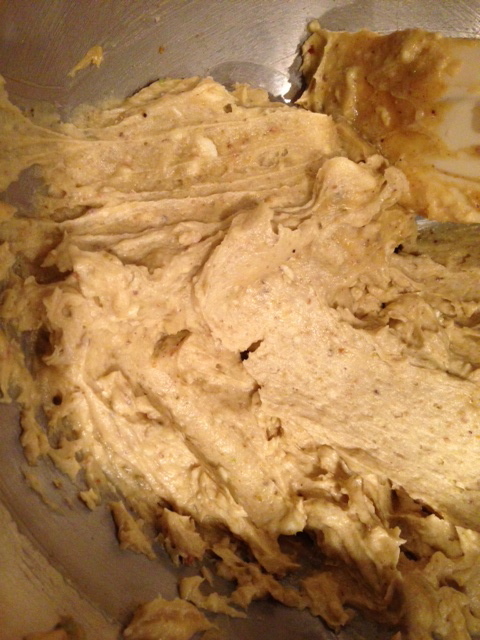 Empty the cream, the pistachio paste and the butter into a mixer and beat until the mixture becomes fluffy and creamy. 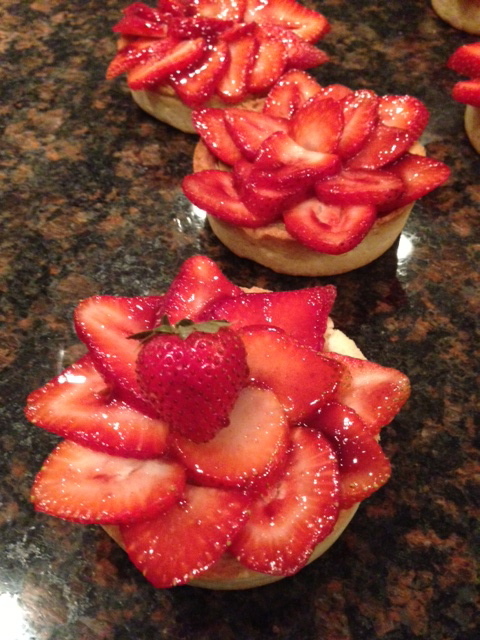 Place the cream into a pastry bag and pipe the cream into each tartlet up to the rim of each tartlet. 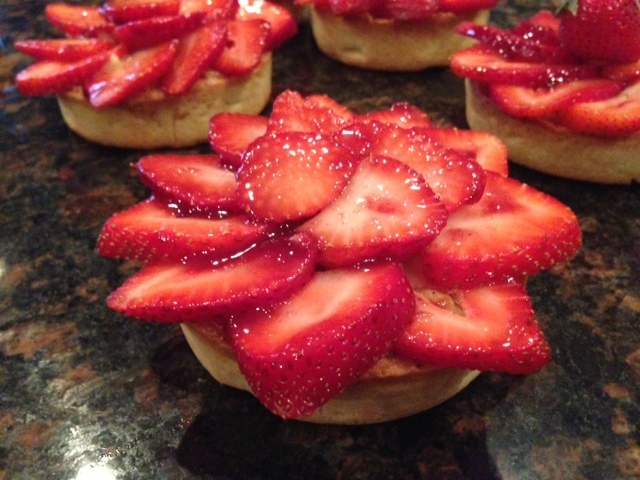 Slice each strawberries in tiny slices and place them onto the tartlet clockwise. Warm up the raspberry in the microwave for 30 seconds or until the raspberry is liquid and brush the raspberry over the strawberries et voila!! !